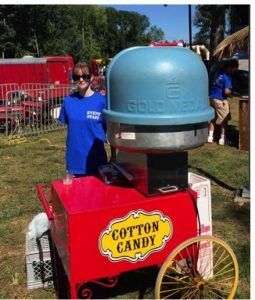 Bring an entire candy store to your next event. This beautiful wall of candy holds up to 15 different types of sweet treats. Includes candy and bags. 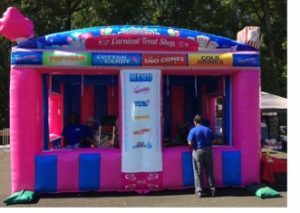 This is an inflatable replica of a classic food concession booth. Serious Eye Candy! 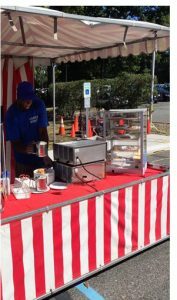 This fun-food booth will attract lots of attention. 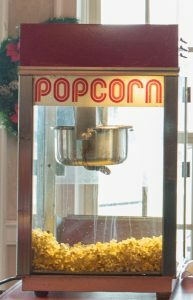 It includes plenty of space to set-up many fun-food machines, such as cotton candy, popcorn and/or snow cones, along with four windows that can be used to serve from. This unit also includes a rear door. Cotton Candy is YUM! YUM! Our fun foods are always a hit at any event. Watch as the cotton candy is made right in front of you. Fresh and always delicious! (all supplies included). Chill out with a frozen beverage. Choose from 4 flavors. 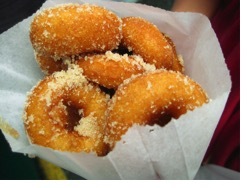 This classic carnival treat will bring a smile to everyone’s taste buds. 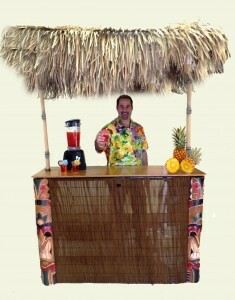 Serve your drinks at your next event on this colorful inflatable Hawaiian themed bar. Includes a built in ice chest and bottle holder. Keep up to three pizzas warm at a time for your next event with our rotating pizza warmer. (supplies not included). Holds (4) 18″ pizzas. Cool off and quench your thirst! Great tasting flavors! 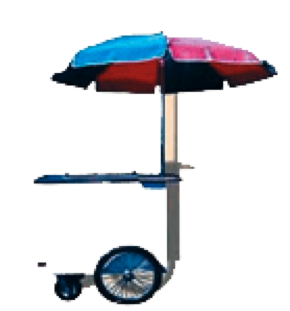 Goes on a table top or can you rent optional fancy cart. You asked and we are serving! 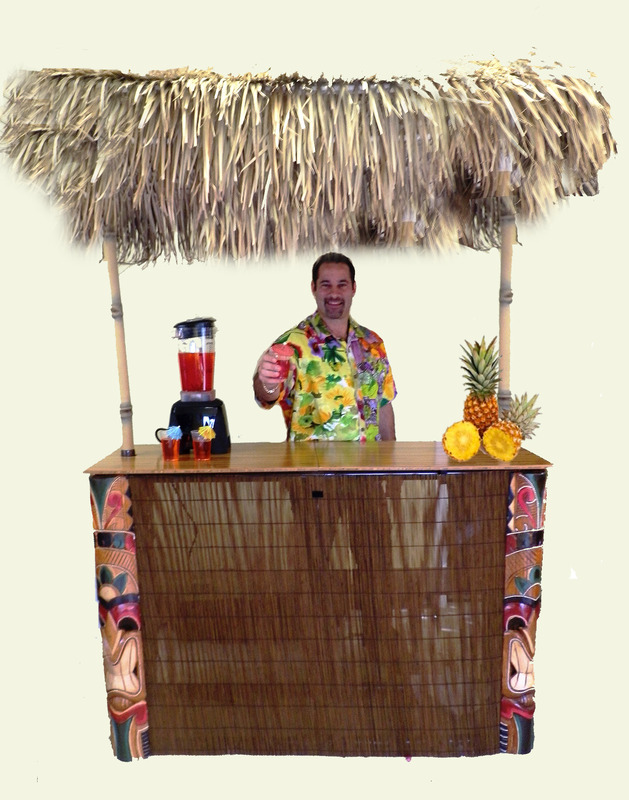 Step up to our authentic looking tiki bar and let our professional server blend one of our delicious frozen drinks. You choose any 2 flavors from the following: Strawberry, Pina Colada, Lemonade, Margarita, or you tell us the flavor you prefer. 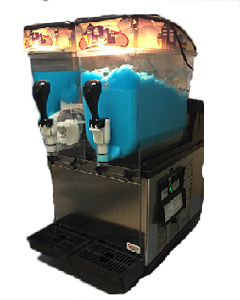 Call or email for pricing on quantity of frozen drinks served in an 8oz cup with a straw and parasol (umbrella). 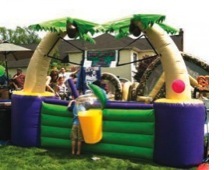 Call 800-923-4386 or Email to customize your event. 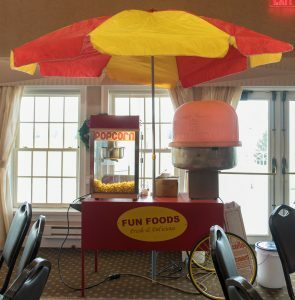 This classic cart brings the fun to any event!